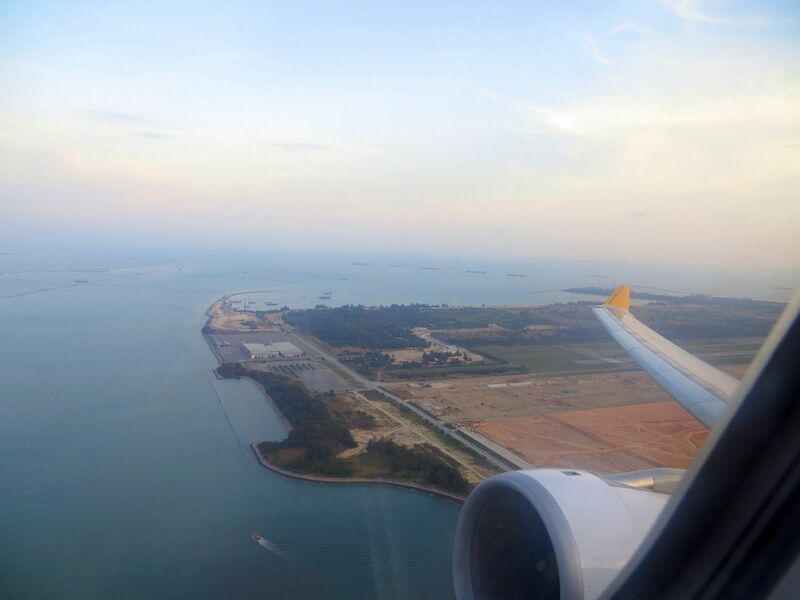 I'm finally blogging our last day in Singapore! This Summer has been so fun that I didn't notice how fast time flew. It feels like it was just yesterday when I came back home from our Singapore trip and then went to Tarlac for my long-awaited Summer vacation. I will tell you guys more about Tarlac and the reasons why I love it. Anyway, today let me tell you what happened on our last day in SG. 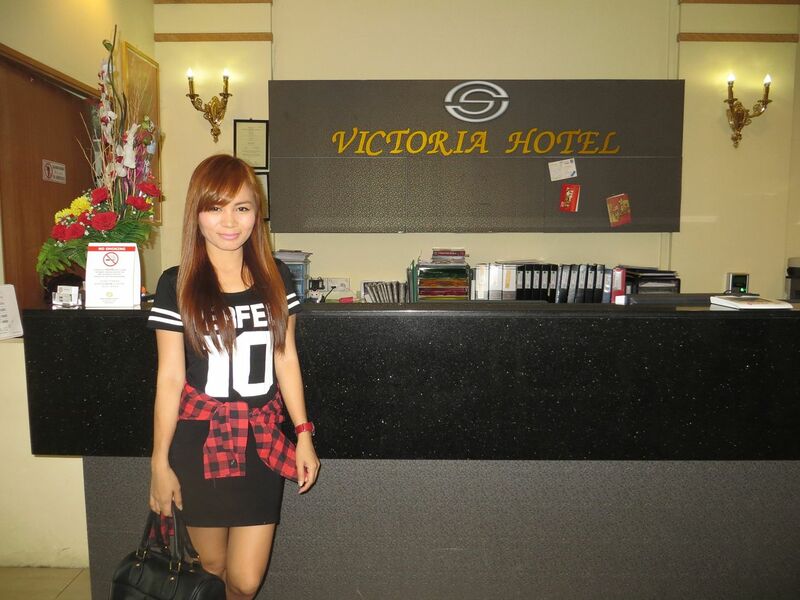 At around 11 AM, we checked out of our hotel, Victoria Hotel. Since we still had few hours before our flight, we decided to leave our stuff at the reception. Singapore is a safe place and the people are honest so we didn't worry about our stuff getting lost or stolen. 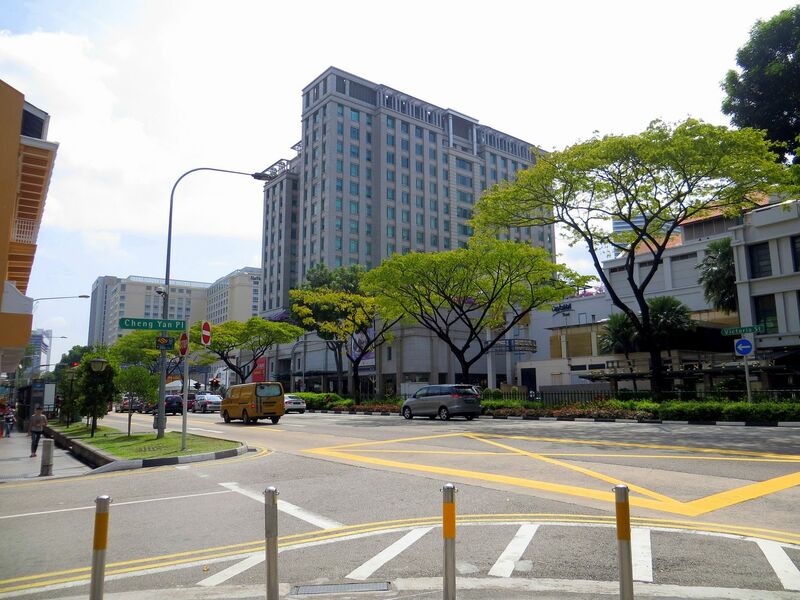 Explored the streets of Singapore for the last time. 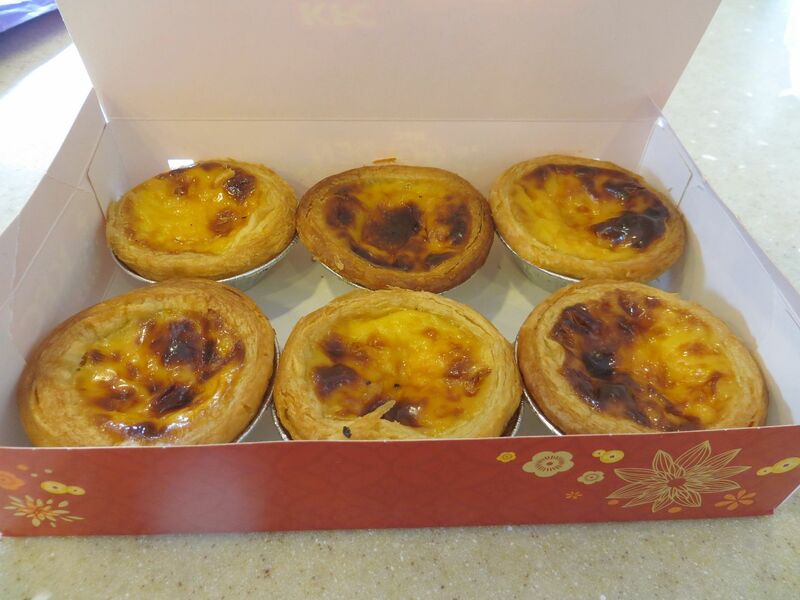 When I was in Hong-Kong, I regretted that I didn't take home some egg tarts. So, I bought some from KFC this time. They sell it for $1/$1.20 per piece. 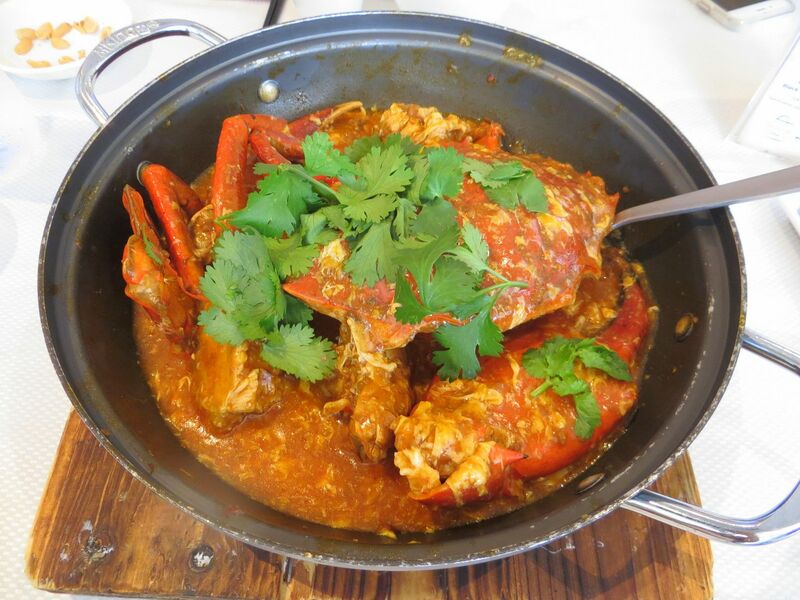 My cousin and I wanted to taste the famous Singaporean chili crab. My cousin said she saw Kris Aquino feature a chili crab restaurant in Singapore so we Googled it and found Jumbo Sea Food restaurant. Since we didn't have much time and didn't need to save money anymore, we just took the cab from Bugis to somewhere in Singapore. 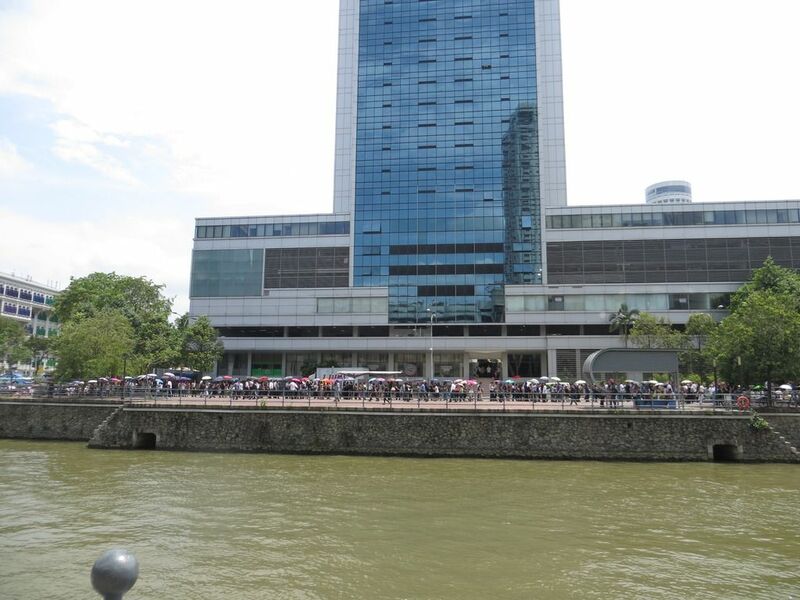 hehe I forgot the exact place but it sure wasn't in Clark Quay area. 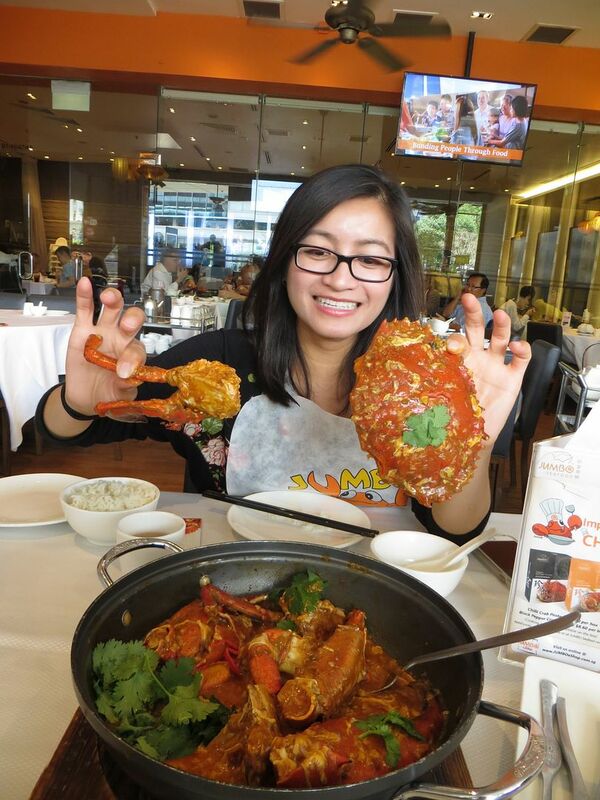 Jumbo Chili Crab sure isn't cheap. This pot costs around $50. But it was really, really delicious!! My cousin treated me to lunch which made the meal even more delicious. hehe Don't you guys love free meals as well? Anyway, the taste was heavenly! I ate 2 bowls of rice because even the sauce of the crab was good enough to go with the rice. The late Prime Minister Lee Kuan Yew passed away while we were in Singapore. We wanted to go to his wake so we could see him for the last time. I truly admire what he has done to Singapore and I wish there could be a Filipino leader like him who could develop the Philippines, too. Anyway, we wanted to go but we didn't have a lot of time. Plus the line was really long! 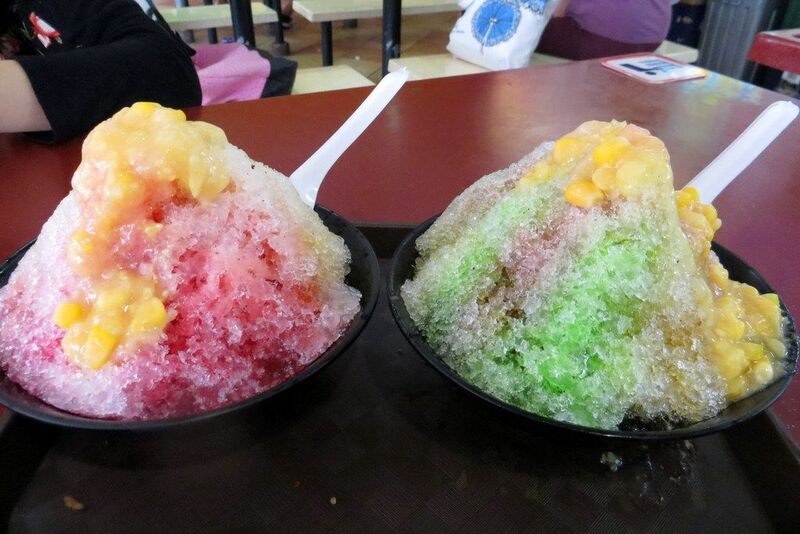 Another food that we wanted to try in Singapore was Ice Kachang. We saw one at Makansutra Gluttons Bay but the place was too far so we just looked around the area. Locals directed us to go to Bencoolen for it. We were so excited because it really looks delicious in pictures... and even when other people are eating it. But when we ordered our own bowl, we were disappointed. The ice was really bland and the taste of the syrup didn't match the corn at all. I guess the one we tried was just really bad but I'd still give the one in Makansutra a try when I get a chance to go back. WE ALMOST GOT LATE FOR OUR FLIGHT! Since day 1, I was sure our flight back to the Philippines was at 7PM. But while forcing myself to finish my bowl of ice kachang, I re-checked our flight itinerary and saw that our flight was at 6PM! It was already 3:30 PM and we still had to travel for an hour to the airport. We saw that as a sign to just give up on the ice kachang and rushed back to Victoria Hotel to get our stuff! The kind attendant at Victoria Hotel. I forgot his name but he was really kind and helpful. We mad it to the airport at around 5PM. Just in time for check in and boarding. 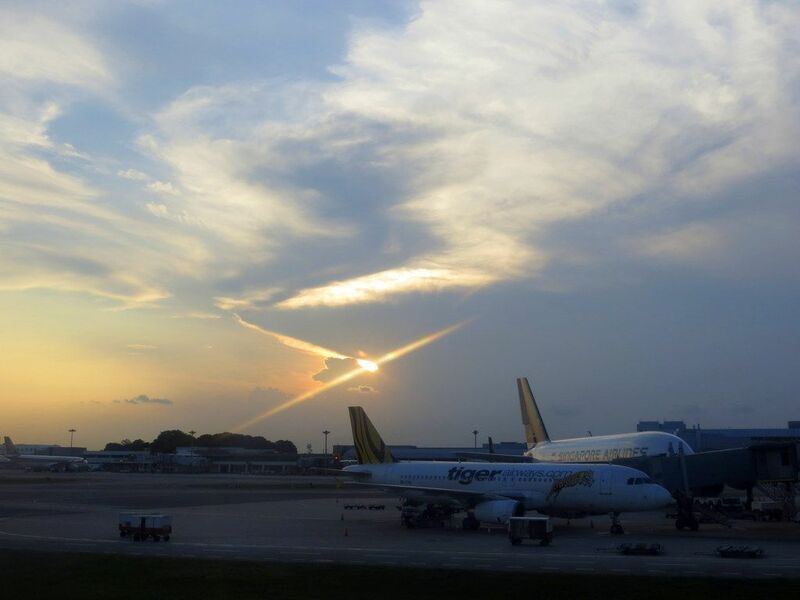 One of the things that I like about Singapore is that it doesn't get dark early. 7PM is still bright! Here in the Philippines, there are days when 5:30 would already be dark, especially in November and December. How is it in your country? We arrived Manila at past 10 PM... then I was back to reality. 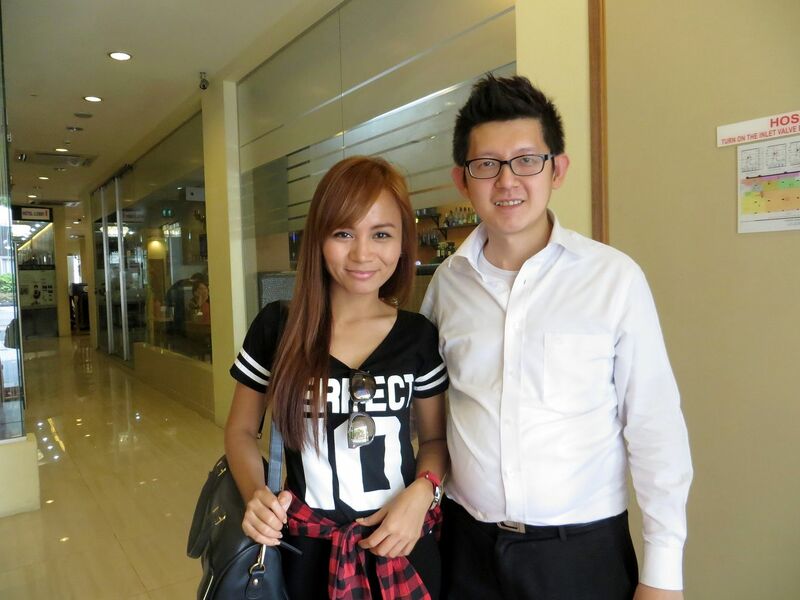 I hope you guys enjoyed my Singapore vlogs and blogs. The next time I travel, I will surely take lots of photos and videos again so I could show you how the trip went.